Chevrolet has given us a look at the new 2019 Blazer on the stage in recent months but hasn’t given us a view of it on the streets until recently. This new midsize crossover SUV is certainly one that deserves our attention, even if that attention is only offered because the vehicle is wearing a name that we’ve longed to have once again. The new Chevrolet Blazer is an SUV that shows up with the name you know, but doesn’t have the build that you remember from the past. The original model of the Blazer was a serious body on frame SUV that was built on the same platform as the pickup truck in the Chevy lineup. 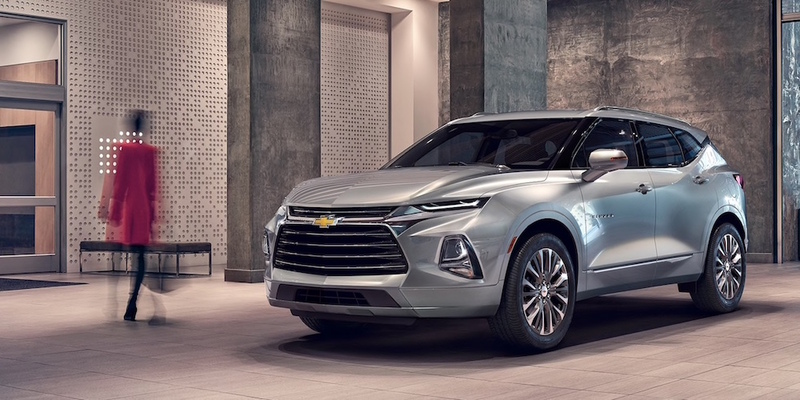 For the newest version you’re going to see a model that’s truly a crossover SUV and one that fits into the area between the Chevy Equinox and the Traverse to give us another choice when we want to drive a Chevrolet SUV. The recently viewed Blazer models that made their way to the streets were the top-end Premier model and the LT version that fits the entry-level area of the market. The pair were seen together and look amazing. If you want an SUV that feels like it’s the right size for fun, this could be the right choice when you’re looking for a model that can be ready to head out and be the SUV that can give you what you’re looking for. Whether you want to head out with your family for some fun on the weekends or you’re ready to go to the light trails, the new Blazer can be the one you want. What Does the New Chevrolet Blazer Offer? There will be three trims offered for the Blazer as it makes its way to the market. This is an SUV that you can expect to be offered in the early part of 2019 and you can choose either the LT, RS, or Premier trim for the one you want to drive. The standard engine offered is a four-cylinder model that gives you 193 horsepower and 188lb.-ft. of torque but there’s also an optional V6 that can bring the power to 305 ponies and 269lb.-ft. of torque for the drive. The standard layout is FWD but there are two AWD systems to choose from as well. Is the new Chevrolet Blazer the right choice for you? If you’ve been ready for the return of this name and you want to see what it’s all about, come in and see your nearby Chevrolet dealership in the early part of 2019. You’ll be able to take a test drive and see what this SUV brings for your driving pleasure as a new generation of SUV drivers has the benefit of enjoying the Blazer on the roads in North America.